Obviously, safes don’t usually get submerged to a depth that they need a high-grade seal on the door. 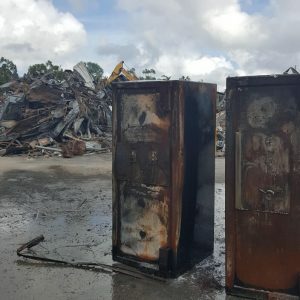 I believe most people want to ensure their valuables will be safe in the event there is a fire. And should a fire hose be directed at the safe that water won’t enter it. After examining a number of safes that have gone through a fire I have seen NO evidence of water entering the safe from a fire hose. The next scenario is water seeping in through the base (or sides) of an inground floor safe. When an inground or underslab floor safe is installed CORRECTLY water will not be able to enter the safe. I have seen numerous below ground safes with water inside. This, however, is usually from one of two reasons. Often people install an inground floor safe at the time the slab is laid and it rains. The roof is alway put on some days or weeks after the slab is laid and the longer the duration the greater the chance or damage via rainfall. ANY safe that gets water inside it will need a service to stop damage from corrosion. The second way water makes it way into an inground safe is from “overflow” water. Water enters the safe from a broken pipe, a temporary flood from a washing machine or similar. 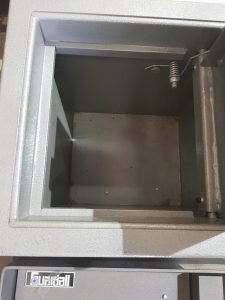 I suggest getting the safe serviced and definitely open the safe as soon as possible and leave it open. It is possible to get a water-resistant cover for some round door inground floor safes that are made in the US. It is also possible to make a “seal” for other square and rectangular door floor safes. However, in light of the above, I believe it is unnecessary. 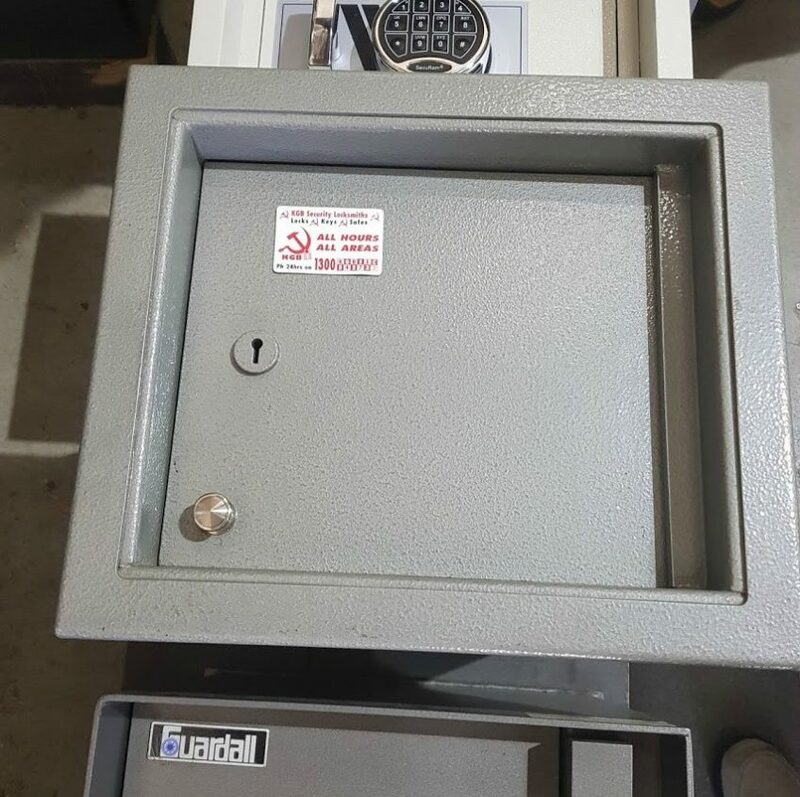 We do sell inground floor safes ( as well as free-standing ones) that use a keylock. These should continue to work for a reasonable period if they were subjected to an inundation. I invite you to call or email if you have any other questions relating to this or any other issue surrounding safes.